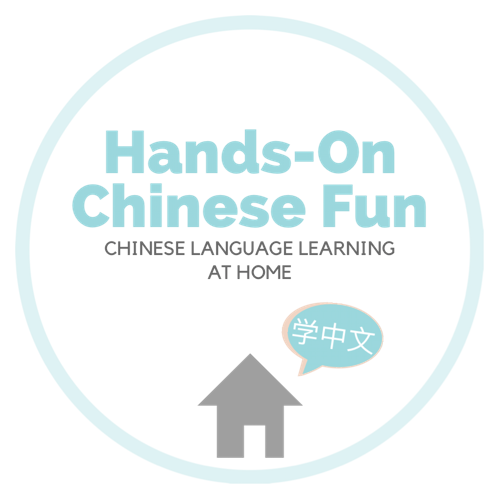 6 years old – Hands-On Chinese Fun! Favorite Chinese Kids Music – 7 albums FREE! My 6 y.o. is at the stage where he is outgrowing classic Chinese kids songs like 《两只老虎》and《拔萝卜》, but not quite ready for pop music. While I don’t think there’s anything wrong with exposure to “teen” or “adult” music at a young age (I remember listening to Mandarin/Hokkien radio a lot with my parents/grandparents), I’m on the search for music that is geared for kids. A big THANK YOU to the mom who recommended the Taiwanese band Hoop Kids to me. Their music is just perfect, exactly what I’m looking for. It sounds like pop music (and hence more palatable to adult ears), but the content is all very healthy and kid-appropriate. I recently discovered that all their albums are available for FREE on Ximalaya and I’ve downloaded them to put on my son’s MP3 player. I’ve compiled all the links here for everyone’s convenience. Because I’m borderline OCD, I attempted to organize all my bridge book sets by level to incrementally scaffold Little Man’s reading level. Little Man finished 四五快读 a month ago and we are slowly making headway into reading real books. We are starting with simple picture books to boost his confidence. Because most simplified books have NO PINYIN, there are new characters for him to learn even in the most basic books. I have not read most of them yet so cannot comment on whether they are good or not. They are organized by length of book and difficulty of content. A lot of the bridge books from Taiwan/China have cultural elements that are difficult for my American son to understand. Most of them were purchased from Taobao (read: How to Buy Chinese Books from Taobao), with the exception of Odonata from Malaysia. Step 1. I read the book to him and explain all the unknown vocabulary to him a few days prior to having him read it. This familiarizes him with the story thereby making it much easier for him to read. Step 2. He reads it. Step 3. He reads it again the next day. I always have him read the same book two days in a row. The second time he is always much faster, fluent and reinforces the new characters. This is a very tentative list! I will update as we go through it. For your reference, he currently knows about 800 characters and reads pinyin 90% accurately. Update 8/27/18: We completed all the books on our summer reading list – YAY! Little Man currently knows 1000+ characters and reads pinyin fluently. I decided to omit pinyin books from our reading list as he can read them on his own. We will continue to read non-pinyin books together for him to learn new characters. Due to limited time on weekdays, I plan to have my son read short stories (~1500 characters) on weekdays and longer stories (3000-5000 characters) on weekends. Some of the Reading 123 series has several short stories/chapters per book so I’m putting it in the short story category. Little Man is quite confident in his reading and has been making decisions on what he wants to read next, e.g. he expressed interest in reading 亮亮 even though it’s in Traditional text. I am happy to follow his lead. I will update this list as we go through it so you get an idea of reading levels and progression. Questions? Contact me on Facebook or Instagram.